When I share that I teach search engine optimisation (SEO) eyes glaze over as I know it's a hard sell. What's interesting about that? 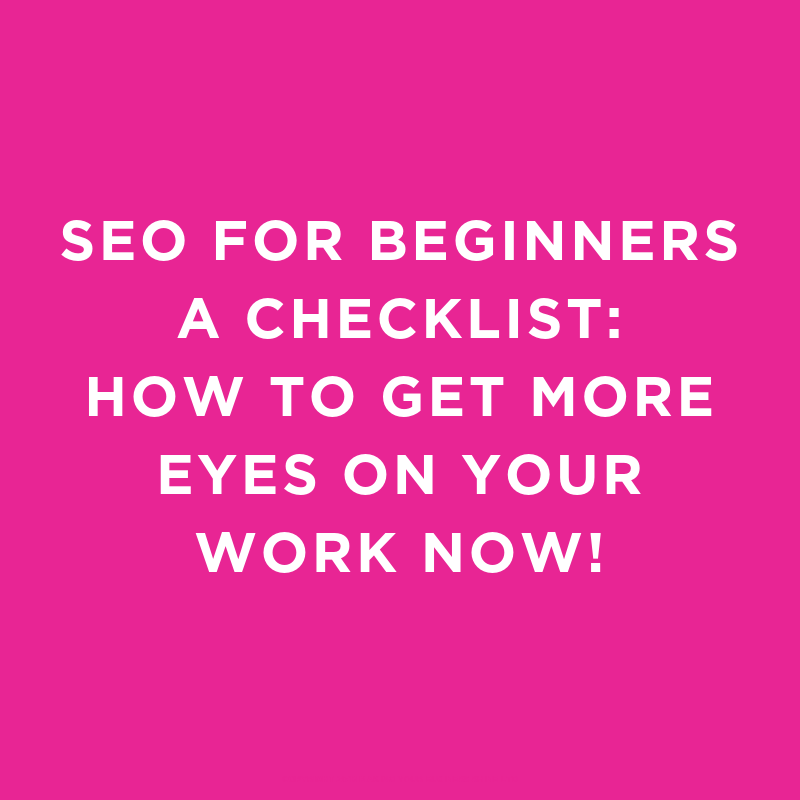 But I personally just think it's given a bad wrap and if you're a newbie to SEO, you're put off as it seems dry, dull and complicated. But just like those shampoo ads that promise you glossy hair, I can promise you a gorgeous amount of new eyes on your services and products if you download this checklist. So what are you waiting for? Dive right in, download this checklist with TEN points and actionable tips for you to put in place today.